We may call her the “no fussy eating” ambassador, well that’s what every Indian household concludes, when they see Amrita Raichand using her magic food that no child will say no to. Inspired by her mother, she is seen to be representing moms right from the age of 19. (Remember Whirlpool’s “Mummy Ka Magic chalega” ad?). In fact, she even kick started her full-fledged home cooking at a tender age because of her mom. She was only 8 years old when she cooked a full meal, comprising daal (lentils), Chawal (rice), aloo Ka Bhujiya (potato fry) and tamatter ki chutney (tomato chutney), to surprise her mom when she was back from a tiring day in office. 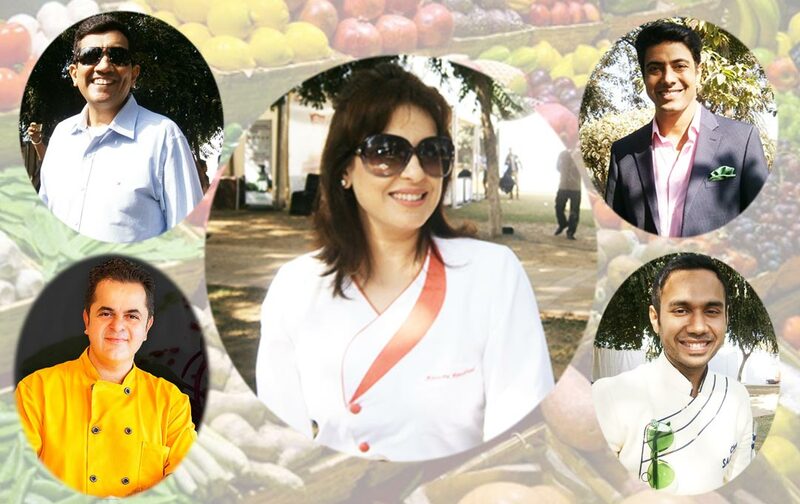 Armed with a charming smile, Amrita is on a mission to bring such food to the table that entices children with the taste and look of junk food, but which is filled with fresh and healthy ingredients. 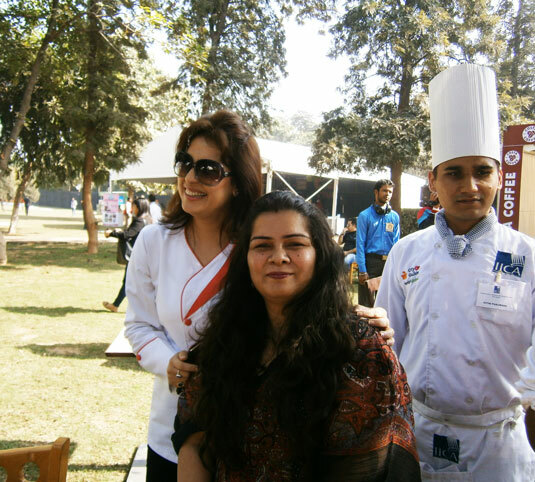 While chatting with us, Amrita delves into her five-year journey of food and the importance of science of food along with experience. What do you feel is the upcoming food market? There’s so much is happening in the food industry. Be it the modern Indian fusion food or the gastronomy food, there’s a lot of activity and it’s very difficult to narrow it down to specifics. As a kids food specialist, I look for food that attracts children. If you see, junk is very popular among kids these days. So, for me what’s most appealing is food that tastes like junk but is made up of healthy ingredients. So when we say kids, how about babies who are five or six months old? What kind of food would you recommend? I always recommend the home-made plain daal khichdi. Apart from that, you can also go for a banana mash. It’s a simple smoothie made with banana, a bit of curd and a dash of honey. How is your professional journey in the food industry? Tell us something about it. Well it’s been four years, as it started with the launch of Mummy Ka Magic. And I can see a long serious journey ahead. While earlier I was also into ads and acting, now food has become my serious profession. In fact, recently in 2015, I finished an advanced culinary course in Singapore. I have also curated a special children’s menu for InterContinental Marine-drive Mumbai. How do events, like The Gourmet High Street, fit in your journey? The Gourmet High Street is a brilliant opportunity to be a part of. It’s an honor for me to be showcasing my culinary traits along with the other wonderful master chefs. These are places where I find my target audience. I mean it’s children’s food, something that’s everyone is concerned about. While I find a lot of moms here, I also find that every adult, even if they aren’t married, will be interested in the food. After all, in the future they too will be concerned about their own kids. Also, as I cater to the tastes of children, I like to connect with the kids too. What was the first food that you cooked professionally? 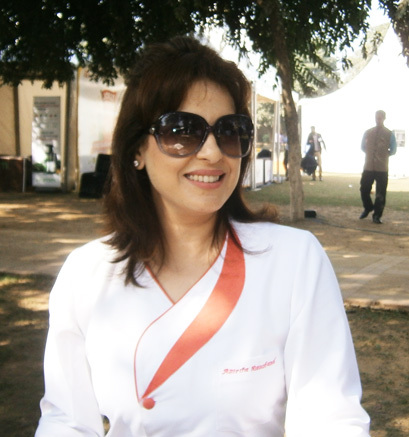 As my entire culinary experience began with Mummy Ka Magic, it was something that I cooked on the show. It was a Sphaghetti cake. What’s your opinion on fusion food? My take on fusion food completely changed with experience. Initially, I wasn’t a fan of fusion as it came in such small portions. However, as I became more familiar with the varied styles and recipes of different chefs, I have started to enjoy it. In fact, the healthy turn of fusion food is exciting and it’s good to keep small portions of few things to create a desired fusion. What would you like to say to someone who’s interested in being a chef? I feel it’s got a lot to do with learning. Being a chef is not just experience with food, but about learning the science of food. It has to be a combination of both. Share the post "Amrita Raichand – Erasing Fussy Eating With Her Mommy Magic"
I just could not go away your website prior to suggesting that I actually enjoyed the usual information a person provide to your guests? Is going to be back ceaselessly in order to inspect new posts. If you don’t have Photoshop or the design chops to make a poster, just head over to fiverr or 99 designs. There you will find people who can put something together for pretty cheap. But, you don’t want to just throw it to them and let them come up with some random poster. You need to spend some time working on your concept first. What is the central mystery of the story? Or, if it is a comedy, what is a way to make people laugh when they see the poster. If its a horror film, try to do something that separates your film from the pack. Do something with a very simple idea. Maybe vector art.